1) (Sir Richard Swan, Knt. ; arms in a window in Lincoln College, Oxford. Visit. Oxon, 1574). Vert a fess or, betw. three swans ar. 2) (Southflect, co. Kent, bart., extinct 1712; arms granted, 1533, to Francis Swan, of Wye, descended from Sir William Swan, Knt., temp. Queen Elizabeth, whoso son, Sir Thomas Swan, Knt., of Southfleet, was knighted at Theobalds by Charles I., 11 Jan. 1630; his son, Sir William Swan, Bart., of Southfleet, was so created 1666; thesecond bart. d. s. p.). Az. a chev. erm. betw. three swans ppr. 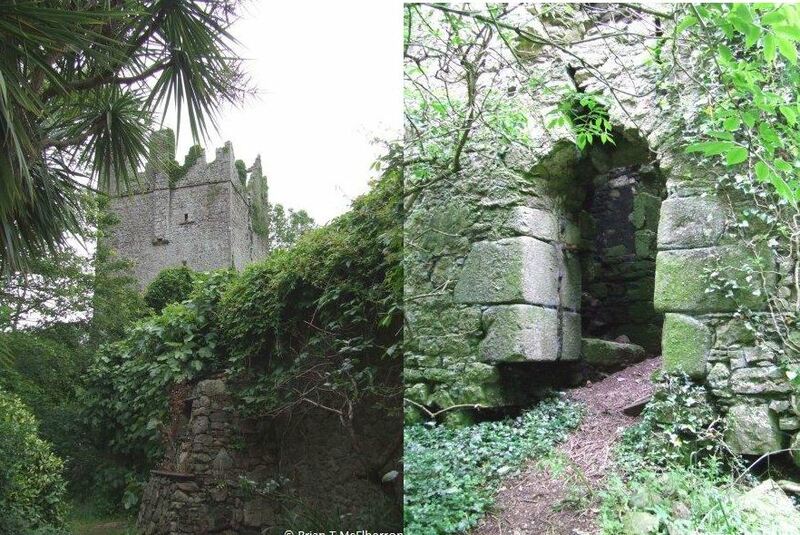 3) (Baldwinstown Castle, co. Wexford; confirmed to Joseph Percival Swan, Esq., of that place, and the descendants of his grandfather, Joseph Swan, Esq., oi Baldwinstown). Az. on a fess wavy ar. betw. three swans displ. ppr. crowned or, a trefoil vert. Crest—A swan ppr. crowned or, charged with a trefoil vert. Motto—Sit nomen decus. 4) (Kilrish, co. Dublin; descended from Edward Swan, of Kilrish, d. 1680). Az. a chev. betw. three swans ar. Crest—A demi talbot ramp. gu. gorged with a plain collar or. Motto—Spero meliora. 5) (quartered by Henry, Lord Dockwra; Fun. Ent. of the first baron, Ulster’s Office, 1631). Az. a fess wavy betw. three swans ar. 6) Az. three swans ar. a chief or. Crest—A cockatrice’s head erased ppr. ducally gorged, ringed, and lined ar. 7) Ar. on a bend wavy az. three swans’ heads erased of the first. Crest—A hand holding a spear in bend all ppr. 8) (Edinburgh, 1828). Az. on a chev. ar. betw. two swans in chief and a lion pass. guard. in base of the second, a pair of falconers’ gloves sa. tasselled gu. the dexter glove placed on the sinister side, and the sinister glove on the dexter aide of the chev. and extended upwards towards a heart ppr. Crest—A demi talbot ar. Motto—Fidelitas. 9) Az. a fess betw. three swans ar. Crest—Out of a ducal coronet gu. a swan’s head ar. betw. two wings or. 10) (Askham Hall, co. York). Az. a chev. erm. betw. three swans ar. Crest—A demi talbot salient gu. collared or. 11) or Swaine – Ar. on a bend cotised gu. three ciuquefoils of the field. Crest—A fetterlock az. 12) (London; Samuel Swain, of Sewardstone, co. Essex, Alderman of London, a direct descendant of William Swayne, of London, gent., who had the arms confirmed in 1612, on producing a grant to his ancestor, William Swayne, bearing date 29 June, 1444). Az. a chev. betw. three pheons or, on a chief gu. as many maidens’ heads couped ppr. crined of the second. Crest—A maiden’s head couped ppr. crined or. 13) (arms impaled with Tregonwell on the monument of Mary, wife of Mr. John Swaine, and dau. of John Tregonwell, Esq., of Anderson, in co. Dorset, d. 1731, Leverington Church). Az. a chev. betw. three pheons or, on a chief gu. as many maidens’ heads of the second. This Anglo-Saxon name has three origin theories. First, it is a baptismal surname meaning “the son of Swan or Swain”. Second, it derives from the nickname “the swan”, referring to a person who was swan like (physically resembled a swan, graceful, or a person of purity/excellence). Third, it was a local name meaning “at the Swan”, which was an early sign-name (of an inn, alehouse, or a generic house name). It should be noted that many British surnames are based on birds: Dove, Raven, Swan, Finch, Sparrow, Hero, Jay, Wren, Peacock, and several others. One source states it was originally a Danish surname, Swane, meaning a swan, from the word Swain, meaning a servant, pastoral servant, youth, or herdsman. One source claims the name became popular in Scotland when Vikings arrived there. In his book, Homes of Family Names, H.B. Guppy writes: “The ancient name of Swain, which is now best represented in Lincolnshire, Leicestershire, Derbyshire,, and Devonshire, was established in the form of Sweyn, rarely of Swayn, during the 13th century in Lincolnshire, Norfolk, Cambridgeshire, and Oxfordshire, being most numerous in the last two counties. In the east of England it is probable that, Swain is but the old Danish name of Sweyn. In, the time of the English Harold, his elder brother bore the name of his maternal uncle, Sweyn, King of Denmark”. Common spelling variants include Swann, Swanne, Swain, and Swanson. Similar foreign equivalents are Svanr (Norse),Sveen (Norwegian), Swane (Danish), Swaan or Schwan (German), Suin (French), Svenne (Flemish), Swahn (Sweden), and Svan (personal name in Sweden). The Domesday Book of 1086, which was a census of England and Wales dictated by William the Conqueror, documents the following personal names: Suua, Suan, Swen, and Swain. Sweyn Forkbeard was King of Denmark, England, and certain parts of Norway, who lived from 960-1014 AD. The earliest known person bearing it as a surame was Hugo Swan, documented in the Pipe Rolls of Suffolk in 1176 AD. John Swann was recorded in Shropshire in 1221 AD. Gilbert Swan was recorded in Cambridge in 1260 AD. The Subsidy Rolls of Sussex from 1298 AD record Walter le Swon and Stephen la Swan. A one Bartholomew de Swan is recorded in the Battel Abbey Deeds. The Hundred Rolls of 1273 AD, a census of Wales and England, known in Latin as Rotuli Hundredorum, documents three people bearing this surname: Swan le Riche in county Lincolnshire, Alexander Swan in county Cambridgeshire, and Geoffrey Svan in county Cambridgeshire. The Poll Tax of Yorkshire from 1379 AD documents Magota Swan and Matilda Swanson. Thomas ate Swan and Hamo filius Swan were recorded in the Close Rolls during the reign of King’s Henry III and IV of England. A one Agnes Swan was recorded in the Calendar Pleadings during the reign of Queen Elizabeth. Simon le Swan was recorded in 1307 in the Writs of Parliament. Henry le Swan was recorded in the Rolls of Parliament. The famous genealogist Bernard Burke’s book “Peerage and Knights” discusses the surname Swann. It begins with mentioning Sir Charles Duncan Swann, 2nd Baronet, who was of Prince’s Gardens, Kensington, and educated at Balliol College. He was born in 1879 and he succeeded his father in 1929. He married Dorothy Margaret, daughter of Captain R.H. Johnson, in 1909 and had two issue with her: Guy Charles (1910 and Anthony Charles Christopher (1913, who served in Wordl War II in Major King’s African Rifles, and he had a son named Michael Christopher in 1941). Burke traces the lineage to John Frederick Schwann, of Gloucester Square, who married Henrietta, daughter of Reverend Kell. They had issue, including the Right Honorable Sir Charles Ernest Swann, 1st Baronet, who was born in 1844. He was a Member of Parliament for North Manchester between 1866-1918. He was created a Baronet in 1906 and was sworn to the Privy Countil in 1911. He married Elizabeth Duncan in 1877 and had several children with her: Charles Duncan (previously discussed), Harold (1880), Laurence Averil (1881), and Geoffrey (1883). Geoffret was educated at Westminister School and served in World War I. In 1911, he married Florence Mildred, daughter of John Brodie of Hamsell Manor in Eridge, and had issue with her: 1) Kenneth Geoffrey (1915), Janet Elizabeth (1913), Phyllis Mildred (1919), and Kathleen Mary Produce (1921). The family resided at St. James Court, Buckingham Gate. Burke’s other book, “The Landed Gentry” discusses two branches of this family: Swan of Baldwinstown and Swann of Askham Hall. The first begins with a discussion of Richard Waddy Swan, Esq. of Baldwinstown, in county Wexford. He was a Barrister-at-Law and in 1839 he married Barbara, the daughter of Sandham Symes, Esq. of Hillview. They had the following issue: Percival Symes (1841, married Elizabeth Sarah in 1877), Richard Sandham (1844), Joseph Percival (1847), and Barbara (died 1847). He later married Mary, daughter of Alexander Stewart of Wicklow, and had issue with her: Stewart Fitzalleyn (1875) and Mabel Stewart. Burke traces the lineage back to John Swan (son of Thomas Swan), who went to Ireland in with the military under the Early of Sussex during the reign of Queen Elizabeth I of England. He died in 1609 leaving a son: William Swan. William married Maude, daughter of Whittey, and died in 1637 leaving two sons: David and John. John Swan, Esq. received in 1657 Baldwinstown and other lands from King Charles II. He married a woman named Mary and died in 1672. He left behind a son, also named John. This John married Sarah, the daughter of Richard Rowe of Ballharty, and died in 1684 leaving a son: also named John. This John married Catherine, the daughter of John Chamney, and died in 1712, leaving a son with her, also named John. This John married Anne Lamber and had three issue with her: 1) John, 2) Joseph of Tombrean (1730), and 3) Elizabeth (married Edward Crutchley of Wicklow). He died in 1720 and was succeeded by his eldest son and heir, John Swan. This John married Barbara, daughter of Percival Hunt of Dublin, in 1748 and had issue with her: John and Joseph. John was the heir, but died in 1783 and was succeeded by his brother Joseph. Joseph was born in 1755 and married Anne, daughter of Joseph Swan of Tombrean, and had three sons and four daughters with her: 1) Percival, 2) William (married Thomasina Eleanor Reade), 3) Benjamin (born 1797 who was an officer in the British service and married Anne Reky), 4) Catherine, 5) Barbara (married Thomas Atkinson), 6) Anne (married Sandham Symes in 1829), and 7) Margaret (married Cadwallader Waddy of Kilmacow).He passed away in 1799 and was succeeded by his eldest son Percival. Percival married Penelope, daughter of Richard Waddy, in 1807. They had four children together: Joseph Percival, Richard Waddy, Anne (married General Edmund Neal Wilford), and Penelope Katherine. He passed in 1834 and was succeeded by his eldest son Joseph Percival Swan. Joseph was a Major 3rd Royal Middlesex Militia and married Catherine Rhoda, daughter of Benjamin Riky, in 1841. He died in 1876 and was succeeded by his brother, Richard Waddy Swan (previously discussed). This family bore the following blazon: Azure, on a fess wavy argent between three swans rousant proper crowned or, a trefoil vert. Crest: A swan rousant proper crowned or, charged with a trefoil vert. The second branch Burke discusses is Swann of Askham Hall. It begins with a mention of Robert Swann, Esq. of Askham Hall in count York, who was born in 1832. In 1859, he married Blanche Maria, daughter of Sir John V.B. Johnstone and they had two children together: Edward John (1863) and Mabel Georgiana. Burke traces the lineage of this family to gentlemen so lived during the reign of King Richard II of England (1377-1399). Robert Swann was born in 1759, son of John Swann and Miss Turner, and he married Ursula, daughter of Robert Carr of Horbury, and had issue with her prior to dying in 1852: John, Reverend Robert (Rector of Brandsby and Vicar of Cherrt, born in 1798, who married Jane Cornelia Anne Percival in 1832 and had a son named Percival Fiennes born in 1839), and Mary (married Henry Ramsden in 1821). He died in 1852 and was succeeded by his eldest son, John Swann, Esq. of Askham Hall, J.P. for the city of York, who was born in 1793. In 1830, he married Catherina Elizabeth, daughter of Colonel William Thomlinson, and later Georgiana Charlotte, daughter of Henry Dixon. He left five issue with his first wife: Robert (previous discussed), John Thomlinson (Commander of Royal Navy, born 1836), Catherine Sarah (married John Thomas Cator in 1860), Henrietta Mary (married John Champion Hicks in 1866), and Frances Anne (married Reverend Christopher Wybergh in 1867). This family bore the following blazon: Azure, a chevron ermine between three swans argent, Crest: A demi-talbot salient gules collared or. A one Joseph Swann left the port of London in 1635 aboard the Globe to Virginia. A one John Swan, master of Hope of Amsterdam, was recorded as being buried in the parish of St. Michael’s in the Barbados in March of 1678. Peter Swaine and his wife were recorded in the parish of St. Michaels in 1680 (recorded as having three children and one servant). Other early settlers included Richard Swan (Boston 1634), Jonathan Swan (Virginia 1635), Mary Swan (Virginia 1703), and John Swan (Maryland 1766). The Swan family motto is 1) Sit nomen decus, meaning “In the name of honor”, 2) Spero meliora, meaning “I aspire to greater things”, and 3) Fidelitas, meaning “Fidelity”. Later people bearing this surname that bore the arms: 1) Swan, R., of The Quarry, co. Line, [13 May] 1891,2) Swaine, of Halifax and Horton, nr. Bradford, co. York, . Famous people with this last name include: 1) Joseph Swan (1828-1914) a British chemist and physicist who helped develop the incandescent light bulb, 2) James Swan (1903-1977) who was an Australian politician who became the mayor of the city of Brisbane, and 3) Barbara Swan (1922-2003) who was an American artist from Massachusetts.